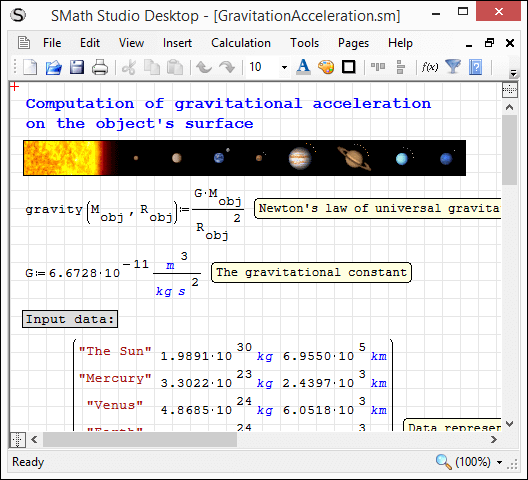 New Beta SMath Studio 0.99.6824 is available! Symbolic engine calculation error fixed. Please note: this release requires almost all plug-ins to be adopted. I'm working on it right now. About 50% (most used) of plug-ins are already updated, others will be updated soon. prior to your API adjustments I committed some improvements to the Maxima Plugin. Is there a way to publish these also for build 6671 (except by temporary reverting and afterwards re-committing your changes)? I think of pointing not just to the SVN path but also to a particular SVN revision in the release manager. Would the above-mentioned procedure worth the effort or do you consider support of 6671 now being obsolete? Of course it is possible to revert changes, make an update/release and re-apply initial changes again. It will take some time, but we can do it if you wish (let me know if any help is required). I plan to release new stable version in 1 or 2 weeks. Actually I needed this beta just because not all plug-ins are ready and tested. So if your changes are not very urgent then it may be more convenient to wait a bit. But it is up to you! I wasn't aware of that the release manager accepts SVN paths with revision tag (should have asked this to google before asking here). This did the trick, so the Maxima Plugin is updated for 6671 stable and 6824 beta without messing with the repository. BTW thanks for doing all the API adjustment work for us! 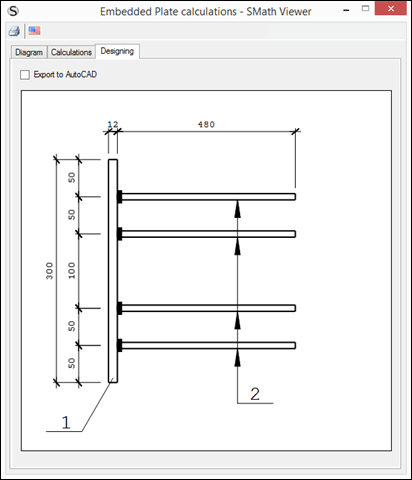 The Extension manager in 6824 doesn't fetch the correct version of the Maxima plugin. Andrey has released a stable version of the plugin for 6824 and later I did a stable version for 6671. Now 6824 always downloads the version for 6671 and then complains that installation fails. 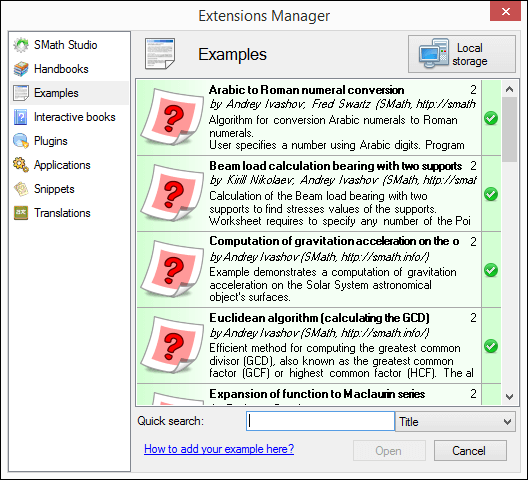 I'd expect that the specification of which SMath is used for release is honoured by the extension manager. How can this be resolved? The problem was that the plugin has been released for 6824 before it was released for 6671. Repeating the release without any changes for 6824 seems to solve the problem. Maxima now loads correctly in 6824. Yet, due to lack of other important plugins (custom glyphs, X-Y plot) fun is limited in that version. As for the X-Y Plot and other (ZedGraph, NPlot). New API does not fully cover the requirements of these plugins. For now I can't port X-Y Plot. The hint is IGraphics.Unwrap<Graphics>(). After you've got native GDI+ Graphics object you can do what you need until API is updated according to your requirements. 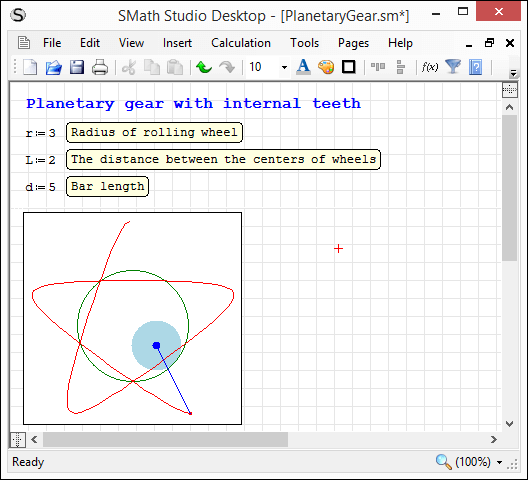 Currently all the plug-ins support .Net Framework 2.0 or later so they can be used for SMath Studio Desktop only. I plan to allow plug-ins for other platforms and will extend API with all required by plug-ins, but it will be a bit later. For now this should be not an issue. Please contact me by Skype in case of any questions. Ok, this trick helped me. But Release Manager makes the assembly which I can't install. 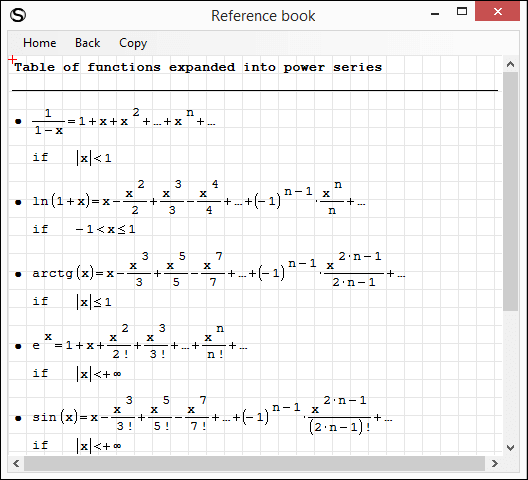 I've just checked your NPlot, X-Y Plot and Zed Graph - everything works ok on my machine with latest SMath Studio. Please could you provide some details about what happens on your environment. The most important change I did on build machine is that now system using MSBuild v.15 during compilation of plug-ins. 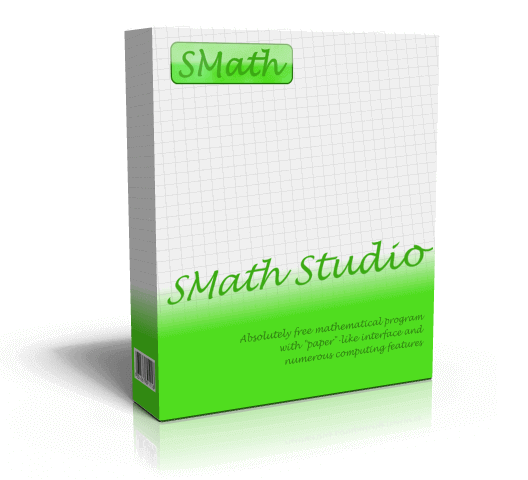 It was SMath Studio 0.99.6823. Now it works fine. There seems to be a problem with the Insert menu entries. The controls entry is cloned with each installation of one of the controls. The controls entry is cloned with each installation of one of the controls. System.Exception: Can't find a proper language file. Try to reinstall the program. [ERROR] FATAL UNHANDLED EXCEPTION: System.Exception: Can't find a proper language file. Try to reinstall the program.